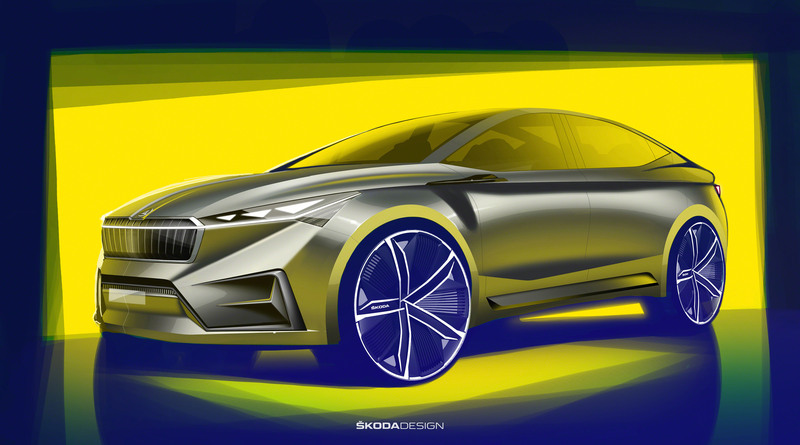 Czech car manufacturer, Skoda will be presenting its next step towards electric mobility at the Geneva Motor Show with the Skoda Vision iV concept study. 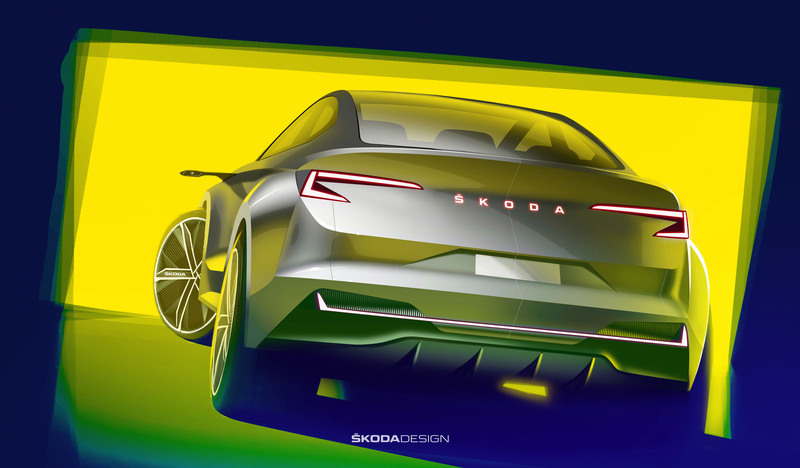 Now releasing two design sketches, Skoda whets the appetite for its first vehicle based on the Modular Electric Drive Kit (MEB). The four-door crossover coupé features fascinating sporty and emotional lines. The Skoda Vision iV combines an athletic body, 22-inch aerodynamically optimised wheels and powerfully flared mudguards with a pronounced coupé-like, flowing roofline. A characteristic tornado line connecting the front and rear emphasises the clean surfaces of the doors without handles. Cameras, whose housings are visually reminiscent of shark fins, take the place of traditional exterior mirrors. The front characterises a reinterpretation of Skoda’s typically wide covered grille, featuring fine vertical ribs and crystalline structures. The horizontal light strip in the upper part of the grille and strikingly large air intakes in the front apron emphasise the sporty appearance. The powerful rear features aerodynamic spoiler edges and crystalline LED tail lights. They redefine the typical Skoda C-shape and emphasise the width of the vehicle in combination with a light strip above the rear diffuser. Another eye-catching element at the rear is the Skoda logo; the individual letters are lit up in red. 2019 marks Skoda’s entry into the era of electro mobility. 124 years after the company was founded, the Czech automaker is launching the Superb PHEV with plug-in hybrid drive and fully battery-powered version of the Citigo in 2020, the first production vehicles will follow based on the MEB. 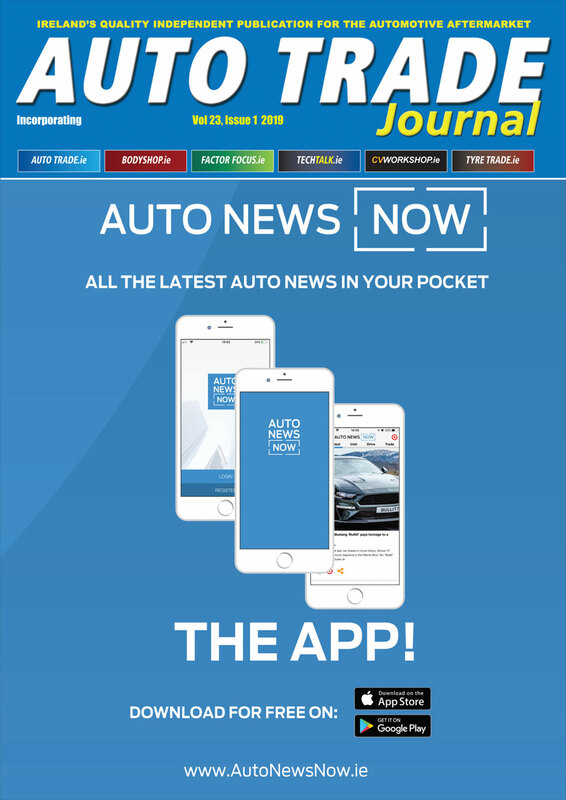 Over the next four years, Skoda is investing around two billion euros in alternative drive systems and new mobility services and claims it will have introduced more than ten electrified models by the end of 2022.